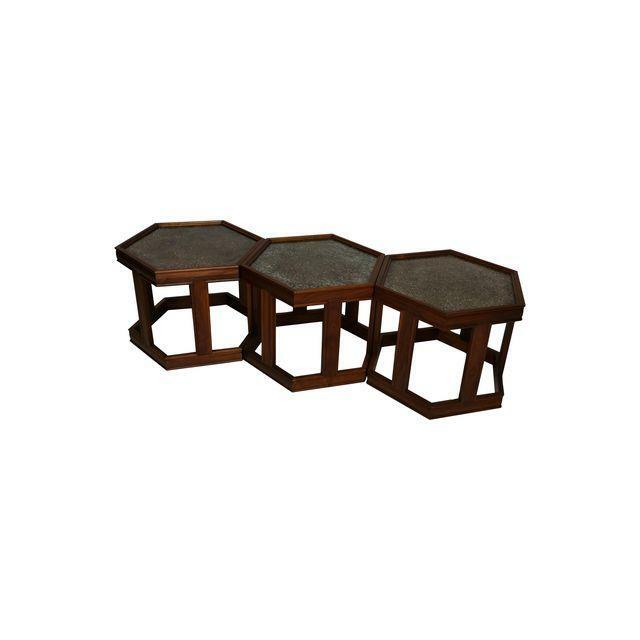 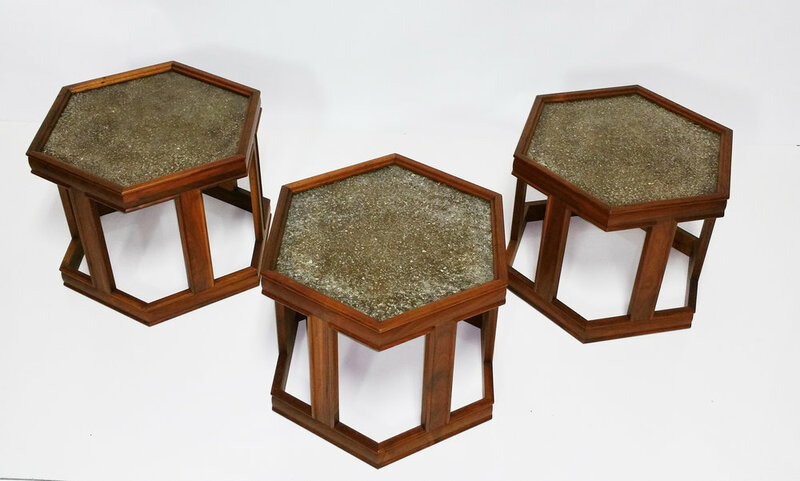 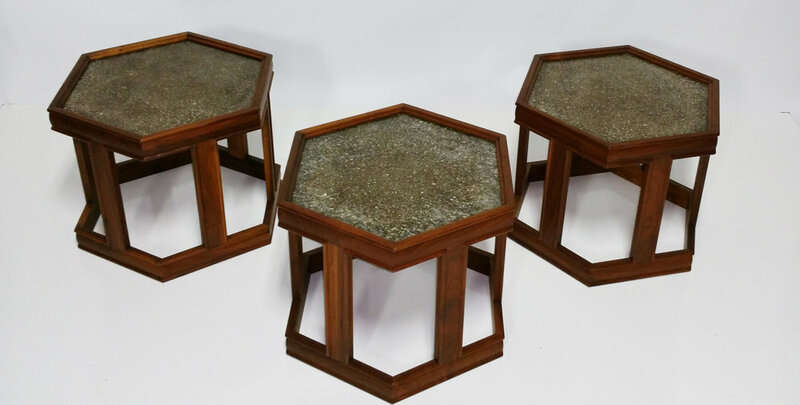 Set of three mid-century vintage 1960s Brown Saltman hexagonal tables in excellent original condition. 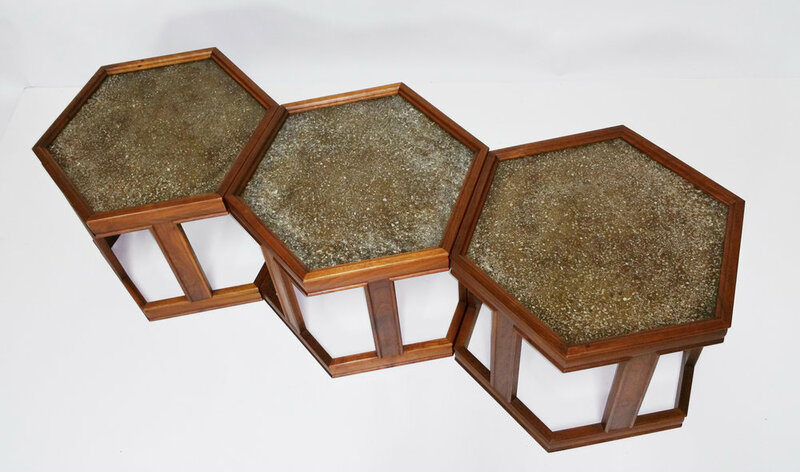 Each has a walnut body with a composite glass covered top, measuring 18" side to side and 16" high. 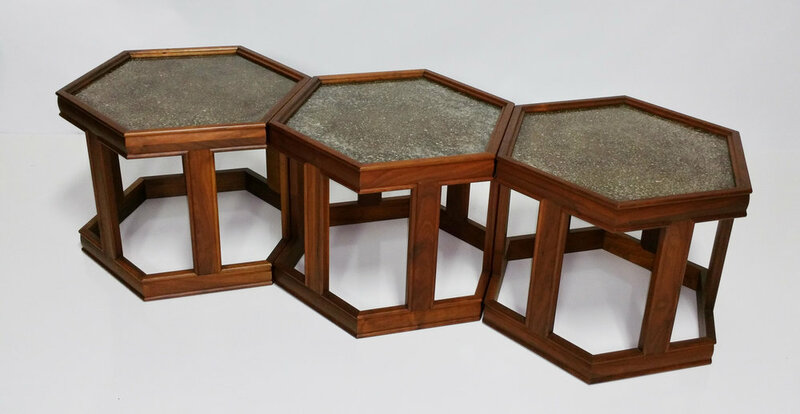 John Keal design.